Do you want to get the best mountain bike seats? When winter is around the corner, there is only very less daylight available to ride your mountain bike. So, you must be equipped with the best mountain bike lights to participate in night riding. 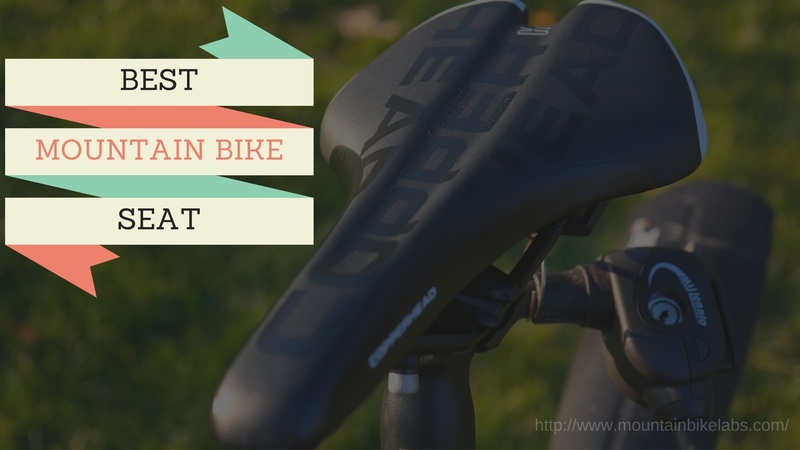 How To Choose the Best Mountain Bike Seat? The saddle is not just a component of your bike. It takes most of your body weight. If you get the best MTB saddle, you can ride your bike more efficiently. Unfortunately, saddle draws the biggest number of complaints. A bicycle saddle must be selected on the basis of the anatomy of a rider. Just like running s﻿h﻿oes, you can find numerous varieties and styles of bike seats on the market. You should select one on the basis of your body type and style of riding. This guide will help you to select the best mountain bike seat as per your requirement. Almost all saddles have a cover on the top of the padding or shell. Most modern saddles are created by using synthetic materials. It can also be closed cell foam, real or artificial leather, vinyl, or Lycra/fabric/gel combination. Some riders purchase extra covers to get relief from uncomfortable saddles. Usually, mountain bike saddle may suffer crashes, so you require a hard-wearing cover. Some people replace an uncomfortable saddle with a soft one. But, it is the biggest blunder. In fact, a soft saddle is not necessary for making better performance. Your body will not get much support from a soft saddle. So you will become tired very quickly and feel discomfort when you make long rides. Shell is the determining factor of the shape of a saddle. The shell of a mountain bike is created by using molded plastic, nylon, carbon fiber, or even leather. You will get maximum comfort if you select a saddle shell that is constructed by using leather. A thick piece of fabric is used for creating a hammock between the rails in a leather saddle. It has the capacity to conform the shape of a rider over time. But, it is highly expensive and cannot resist weather as effective as the other materials. The rail is the connecting link between the saddle and the bike. Usually, there are two parallel rails. Regardless of the type of mountain bike saddle, most of them have rails. They are also known as a cradle. Steel alloy is used for making cheaper rails. But today, carbon or titanium is used for making a lighter saddle. Other materials such as magnesium, aluminum, or chrome-moly tube are also used for making rails because they are solid or hallow. Padding is helpful for distributing pressure from behind and across the surface of the saddle. The most common padding material is polyurethane foam. They are available in a variety of densities. It makes the saddle soft or firm. You may feel that a soft, deep padding is more comfortable in the beginning. But, when you make more contact and movement, it can increase heat and discomfort. The price and quality of a saddle can be determined on the basis of your budget and the duration of your bike riding. If you do not want to ride too often, you can purchase any saddle. However, if you love long rides, you should purchase the right kind of saddle. Various different types of saddles are available on the market. So, you may be confused to select the ideal one for you. Always buy a high-quality saddle. Mostly, high-quality saddles are designed with rails. Carbon fiber (most expensive) is used for manufacturing such saddles. You can also purchase the rails that are created by using titanium or steel. These materials are capable of taking lots of abuse and they last long. They are also highly adjustable. Avoid plastic saddle without cover: Are you an old school BMX rider? Do you spend very less time sitting in the saddle? If you are not such a rider, you require something with good padding. It will be more comfortable for your body. Gel and foam covered saddles are very common these days. The leather is the preferred choice for long-distance cyclists. Typically, the gel covered saddles are a little bit softer than foam. However, both offer good value for your price. Females should select a shorter and wider saddle, which is perfectly fit for their pelvis. You should not hesitate to spend more dollars for a saddle. An expensive saddle is necessary if you love to ride too often. The Schwinn Pillow Top Cruiser is the best solution for cramps and seizures of long rides. The best mountain bike saddles are designed for providing most comfortable and flexible experience. Schwinn places curvatures in the correct position. It lacks rubber bumpers in the rear. So, you will get maximum comfort. A slot is placed in the right middle of the balls, which provides you maximum protection. Though the price of Pillow Top Cruiser is very less, the features are stunning. It provides you maximum protection without compromising comfort. The seat comfort level of Pillow Top Cruiser is also topmost. It is absolutely nice and you will not experience even a single sign of discomfort when you started using this saddle. It is lightweight and provides you the best feeling. The saddle comes with an extra lining, which makes the ride comfortable and soft. It has a waterproof cover, which keeps from absorbing rain water. The Men’s ARS Anatomic Relief by Planet Bike is specially designed for pro-mountain biking or road racing. It has a large deep recess, which is helpful for increasing the padding for forward sitting. The groove of this saddle is shaped perfectly to accommodate you as per your anatomy. It also provides you proper ventilation when you ride your mountain bike. The Men’s ARS Anatomic Relief by Planet Bike also has gel cushions. These are placed right underneath your sit bones. Thus, it can provide your soft tissues in these areas. It is also effective for reducing discomfort and numbness. Besides, super-soft padding with a flex base helps you to ride for long hours comfortably. Are you searching for an affordable sports model saddle? Then, you can confidently purchase Cloud-9 Comfort Ladies’ Saddle. It comes with all the features that allow you enjoying a very fast riding experience. It provides you great support when you ride your mountain bike. The Cloud-9 Comfort has an extra wide anatomical design. Therefore, you can experience great things while riding your mountain bike. You can also install it very easily. Cleaning this saddle is also very easy. It comes with an elastomer spring suspension, so you will get the best comfort and protection against any shock. The design is perfect for protecting your body from perineal pressure. The Cloud-9 Comfort is waterproof, so you can use it for many years without any problem. All mountain bikers need a comfortable saddle, which allows you to reduce stress and your muscle will get some relaxation due to it. West Biking MTB Mountain Bike Saddle looks great and the rider will get an amazing feel. It is ideal for all types of cyclists. It has a cutout center, which offers you maximum comfort. Polyurethane material is used for manufacturing this saddle. It has a middle seat groove, which offers you proper ventilation that is essential for mountain bikers and cyclists who go for a long hiking trip. The length of this saddle is just 10.8-inch and width is just 5.7-inch. It comes with a key chain. OUTERDO Bike Saddle is a high-quality mountain bike seat. You can purchase it without any worries. You will also feel comfortable when you start using it because this saddle is created by using the high-quality material. It offers excellent shockproof and topmost firmness. You can enjoy riding for a long time without affecting your comfort level. It has a human shape design, which makes you feel cooler. It has thick elastic, which is highly comfortable and breathable. It is perfect for all kinds of riders. It is ideal for keeping you cool and comfortable throughout your ride. Polyurethane, leather, and steel are used for making the saddle. All the mountain bike seats reviewed about have high ratings and they are available under affordable price. These seats come with ergonomic design and good cushioning. Men should select a saddle with a recessed center for getting much anatomic relief. At the same time, the saddle should not be too wide and too small for your body size. The size and shape of all individuals are different. Thus, you can select the best mountain bike seat as per your peculiar physical characteristics. All the saddles mentioned above have high water resisting capacity, which is essential for enjoying riding in all weather conditions. These are lots of best MTB saddles on the market. You can select one on the basis of your budget, gender, comfort level, and color choice. The best mountain bike saddles can provide you the best blood flow, muscle development, injury prevention, etc. So, you should select a saddle very carefully.